The Turbelle® Nanostream 6095 controller and wave pump can be set a wide range of flow options. 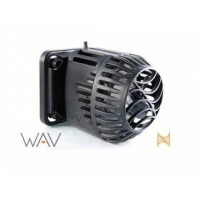 This very quality German made wave pump has been the biggest seller in Europe for last few years for a reason. A multi-performance wave machine controller and variable pump performance, it can provide a wave simulation, oscillation flow, an automatic search for the resonance frequency when the oscillation flow is used, and it is also equipped with a food timer. It can be directly connected to a Multi-controller. The pump is therefore able to operate together with other pumps, for example, in the high/low tide mode. If this controller is connected to a second controller with the 7092.300 cable, a further pump can be connected and controlled, for example, to provide a wave pounding simulation or an oscillating current. A third controller can be added using the Y-adapter cable 7090.300.